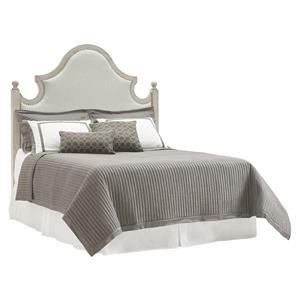 A modestly scaled bed with rich, sophisticated detail, this headboard made from ribbon-stripe mahogany lends relaxed glamour to any home or apartment. 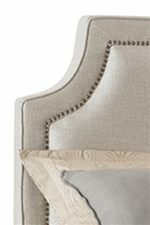 Subtly scalloped edges are capped in burnished brass for an effortlessly upscale look. The dark, Brentwood wood finish evokes traditional style without the heavy, excess ornamentation that accompanies traditional decor. 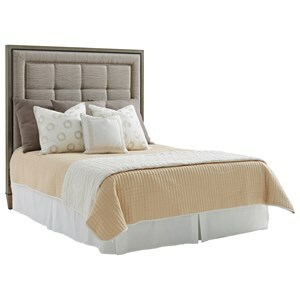 Matching footboard with brass accents also available. 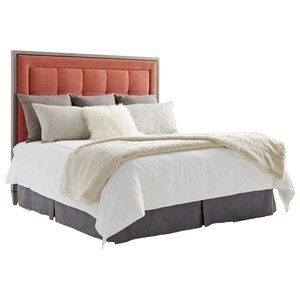 Headboard available in queen, king, and california king sizes. 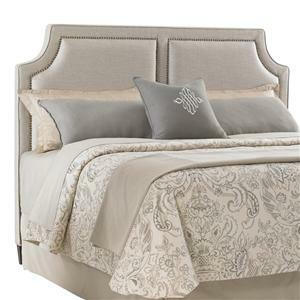 The Kensington Place Queen Bennington Headboard with Burnished Brass Accents by Lexington at Howell Furniture in the Beaumont, Port Arthur, Lake Charles, Texas, Louisiana area. Product availability may vary. Contact us for the most current availability on this product. 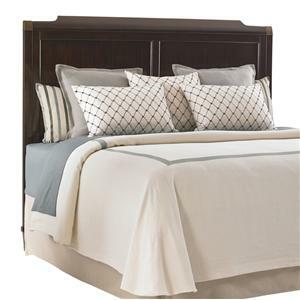 The impeccable transitional design style is a perfect reflection of today's modern world. A cultivated blend of traditional influences and modern sensibilities, Kensington Place embodies a lifestyle of both elegance and ease. This mature style incorporates classic touches like saber legs and burnished brass ferrules to evoke the refinement of traditional design without the pretentiousness of reproduction antiques. A modern ideal of beauty and fashion. The Kensington Place collection includes furniture for the whole home including dining sets, living room accent furniture, bedroom pieces, and transitional sofas and chairs for a soft yet elegant touch. Wood pieces are crafted from rich, ribbon-stripe mahogany in a Brentwood finish, and feature sophisticated detailing like burnished brass bail pull hardware and brass ferrules. 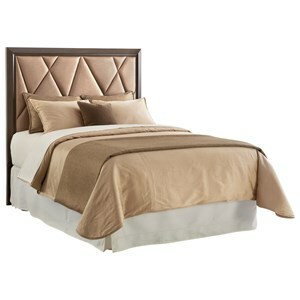 Adding extra glamour to this look are accent pieces with antiqued mirrored panels, bringing light and drama to your room. 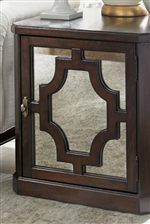 Other collection highlights include an upholstered bed with brass nailheads, an extendable mahogany dining table, and media storage pieces incorporating the best in fashionable and functional design. 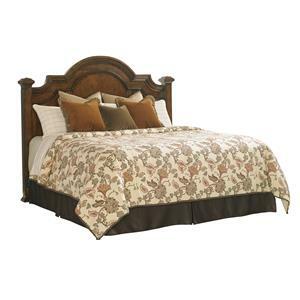 The Kensington Place collection is a great option if you are looking for Transitional furniture in the Beaumont, Port Arthur, Lake Charles, Texas, Louisiana area. 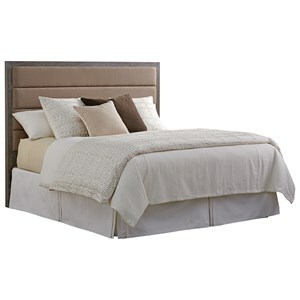 Browse other items in the Kensington Place collection from Howell Furniture in the Beaumont, Port Arthur, Lake Charles, Texas, Louisiana area.